Chelsea defender Gary Cahill is said to be on the radar of North London giants Arsenal alongside Manchester United defender Eric Bailly ahead of the winter transfer window scheduled to start in 20 days time. Cahill and Bailly have both seen their first team opportunities reduce at Chelsea and Manchester United respectively thereby prompting transfer rumours about their futures. 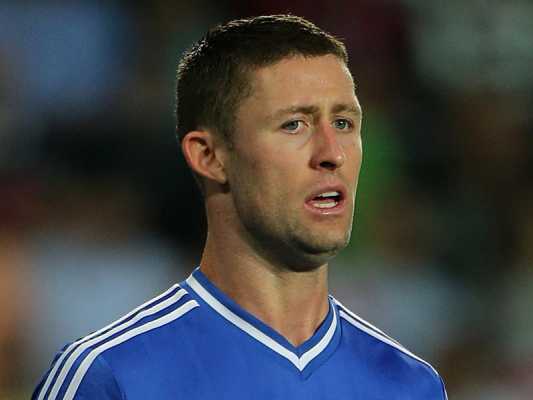 Gary Cahill was a regular in the Chelsea team under former manager Antonio Conte only for him to be relegated to the bench with the advent of new Blues boss Maurizio Sarri. For Eric Bailly, he has had to battle with injury woes at Manchester United in addition to various media reports which claimed that he has fallen out of favour with Red Devils manager Jose Mourinho. Arsenal could be a good option for both players with the Gunners on the search for a defensive replacement for Rob Holding. The young English defender suffered a serious knee injury against Manchester United on Wednesday and he has been ruled out of action for the next six to nine months as a result. Recently retired England international Gary Cahill had earlier been linked with clubs like Aston Villa and Manchester United, while Ivorian centre-back Bailly has been the subject of transfer rumours for clubs like Tottenham Hotspur and AC Milan.